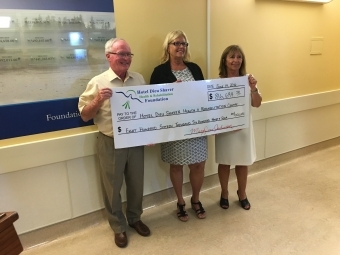 Hotel Dieu Shaver Health and Rehabilitation Centre will be able to continue to purchase much needed patient-care equipment and upgrade treatment areas thanks to the largest donation in history to the hospital of $816,694.28 from the healthcare facility’s Foundation. At a reception for the Foundation’s donors on June 14th, Executive Director of the Foundation, Mary Jane Johnson and Hospital Auxiliary President, Jacquelyn Johnston, presented the hospital with cheques totally almost $870,000. “We are very privileged to have the support of such a dedicated and passionate group of volunteers“ says Dr. Ron McTavish, Board Chair of Hotel Dieu Shaver Health and Rehabilitation Centre. 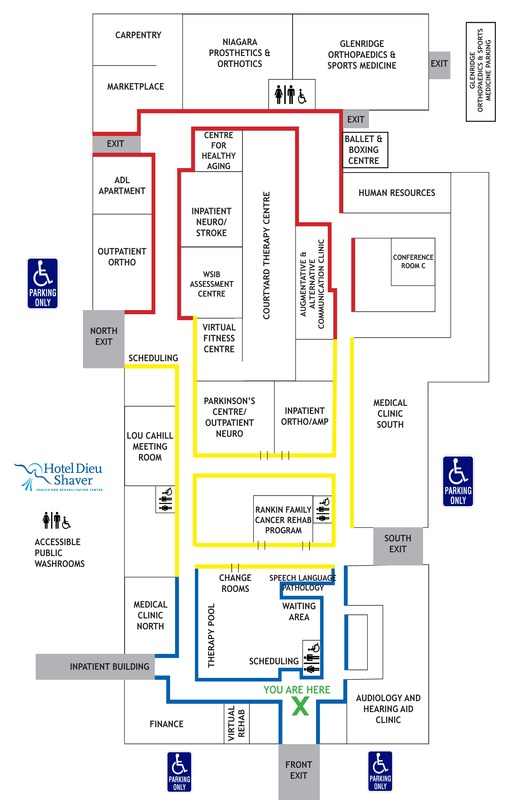 Some of the items that Hotel Dieu Shaver has been able to purchase thanks to the support of the Foundation and their donors include; a fully upgraded Nurse Call System, patient beds, ceiling lifts for patient rooms, shower trollies and weight scales. In addition, patient rehabilitation rooms have been refurbished and given new life to accommodate the increasing demand for outpatient Multiple Sclerosis and Parkinson’s therapy.